Flood Predictions-What’s in a Numbers? As the calendar turned to March, we started wondering what the next weeks will bring for weather. For Edgewood’s Pro Greg McCullough, it was a google search for Accuweather, to see what the long range forecast may look like and any flood outlooks for the Red River he could find. This February set the record for snowfall, but we were all told it had “very little” moisture. After 20 years as the golf professional at Edgewood, this made him a little nervous. 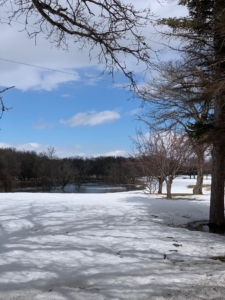 The first 3 weeks of March gave us very little snow melt in Fargo, but news reported eastern Nebraska was almost completely under water. Then, Sioux Falls had a weekend where all the snow melted at once, which caused more flooding on the news. The flood outlook for Fargo was a 90% chance for a 30′ crest and a 10% chance for a 40′ crest. The Fargo Parks team has made 16,000 sandbags to have ready if needed. Turn the calendar to this past Friday, March 29th. The first Advanced Hydrologic Prediction Service graph came out for the upcoming week. We expected at least a 30′ level for the first week of April. Guess what? The graph was topping at 24′. We know these numbers are percent predictions, based on certain criteria and by no means a hard number. We will adjust as we get better information. We have been cautiously optimistic. Not that we were set at the 24′ being the final number, but maybe there wasn’t the moisture on the ground that we had thought. For sure, the update Monday morning would have a higher outlook, but it didn’t. Then, at 3:15 on April 2, a new graph appeared: 34′ by this Sunday, April 7! Wow, what a change! Not only 10′ higher than earlier in the day, but 4′ higher than the 30′ level that was anticipated. So what does it all mean? 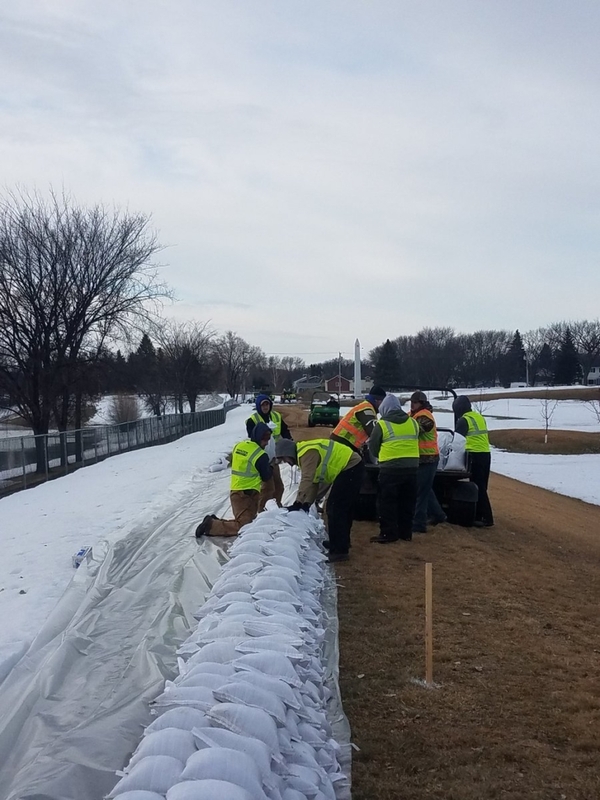 On April 2, at El Zagal, the Fargo Parks team laid sandbags on the dike along Elm street to try keeping a 34′ Red River out of the golf course. 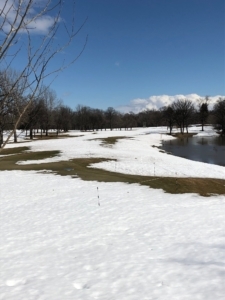 At Edgewood, the Red is about 3/4 of the way up on holes #4 and #18, pictured below. The Red River is at 21′ in these pictures, and up 2′ for the day. Today, April 3 brought more planning on what we can do at Edgewood and to what level. Keep checking back on our blog and on Facebook @EdgewoodGolfCourseND. https://www.fargogolf.net/wp-content/uploads/2019/04/D3KgBpPX4AAkFso.jpg 1200 900 Greg McCullough https://www.fargogolf.net/wp-content/uploads/2017/12/fargo-golf-logo-padded.png Greg McCullough2019-04-03 16:20:492019-04-03 17:05:23Flood Predictions-What's in a Numbers?